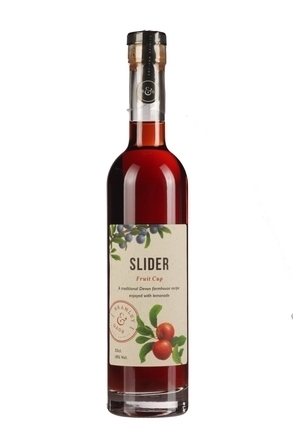 Fruit cups, quintessentially English summertime thirst-quenching drinks, were invented by the Victorians and were originally a mixture of fruit, liqueurs and spices with a base spirit of gin. They were usually homemade and for home consumption. Pimm's No. 1, the best-known brand of bottled fruit cup has become synonymous with the category, but there’s so much more to fruit cups. Pimm's and other bottled fruit cups are merely pre-mixed punch-style drinks to which lemonade or ginger ale is added when served, ideally generously garnished in a tall ice-filled glass. Although some of these pre-mixed bottled products are very good - see our ratings against the brands to the right (if using a desktop) or below (if using a mobile device), we think you'll get a better result by mixing your own. 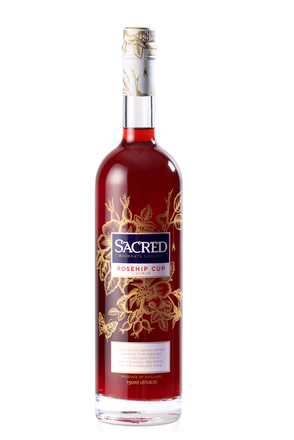 It will certainly allow you to tailor the drink to suit you or your guests' tastes and will be a sight more satisfying. I'm very proud of my Difford's No.1 Fruit Cup recipe which is reminiscent of a Pimm's Cup, but better (well at least I think so). Mine has more punch than the drink made with Pimm's (now sadly a mere 24% alc./vol. compared to 34% back in the 1940s). When following my recipe, your choice of orange curaçao will influence the drink as dramatically as changing the base spirit. A cocktail which carries the Pimm's name should be made with Pimm's, hence some of the following fruit cup recipes call for the inclusion of this branded product - you may choose a substitute (see left/below for alternative brands). 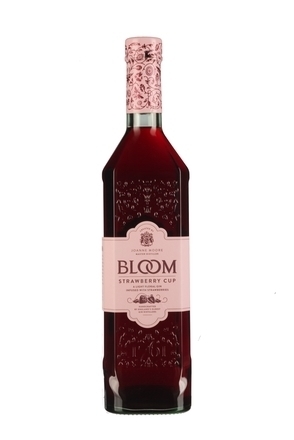 Fruit Cup Spritz - A light summery spritz with flavours reminiscent of Pimm's. Pimm's Royal - Pimm's and champagne. Pimm's Cup (or Classic Pimm's) - You've not properly experienced an English summer until you've drunk one of these whilst sheltering from the rain. Pimm's Cocktail - Pimm's served short and strong with a splash of fizz. 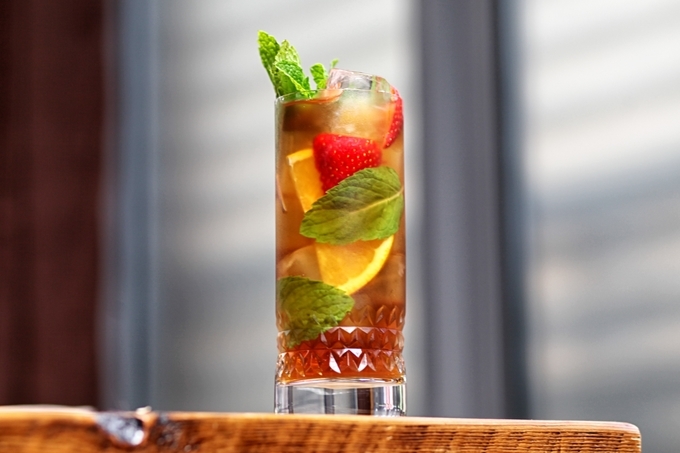 Pimm's Spritz - The quintessential English summer refresher served with Italian sparkle. Pimm's No. 1 Cup, and other similar brands of pre-mixed bottled fruit cup are usually served over ice, diluted with English-style lemonade (lemon-lime soda in North America) or ginger ale. Tradition dictates these mixed drinks are garnished with slices of citrus fruit, strawberries and English cucumber slices along with sprigs of borage or mint. In June 2015, a headine in the The Telegraph newspaper reported "demand for Wimbledon Pimm's causes a cucumber boom" with the UK Cucumber Growers Association predicting "that more than seven million cucumbers will be needed to meet the demand for Pimm's this summer." In England, the first rays of summer sun single the start of the seasonal sales of Pimm's and other fruit cups, and during the summer months no outdoor festival or sporting event is complete without a bar serving fruit cups by the plastic cup and pitcher. The first Pimm's bar opened at the Wimbledon tennis tournament in 1971 and some 230,000 glasses of Pimm's are sold during each tournament. James Pimm is usually credited with creating the leading pre-mixed fruit-cup brand, Pimm's and according to legend, he first served this at his Pimm's Oyster Warehouse in the city of London, close to the Bank of England in 1840. James Pimm, a farmer's son from Kent, began trading as a shellfish-monger in 1823-4 on London's Lombard Street, before moving to nearby number 3 Poultry, also in the heart of the City of London where he established Pimm's Oyster Warehouse. 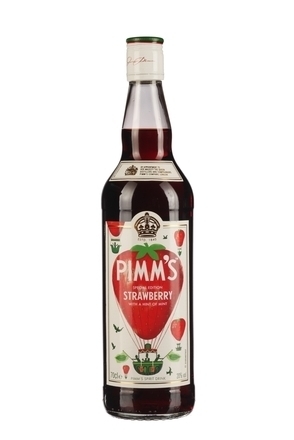 It is here that he reputedly first served his fruit cup punch in 1840, and indeed, Pimm's bottle labels proudly claims "ESTD. 1840". 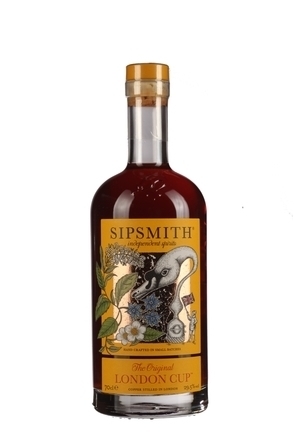 The drink is said to have been sold as an aid to digestion, and juniper which flavours gin, on which Pimm's was originally based, has long been valued for its medicinal qualities. Indeed, the history of gin is thought to date back to the 1100s with Italian Benedictine monks infusing juniper in alcohol to make an elixir. However, it could be that Pimm's is named after the bar in which it was first served rather than the bar's original owner and that the now famous fruit punch was first made by Samuel Morey, James Pimm's successor, a theory perhaps supported by his being recorded as taking out a retail liquor licence for Pimm's Oyster Bar in 1860. Many establishments of the day mixed house spirits to serve with liqueurs and juices and called them "cups" after the small No.1 sized tankards in which these cocktails were sold. Naturally the "cup" made at Pimm's Oyster Bar was named "Pimm's No.1 Cup" after the restaurant, which retained the goodwill and name of its founder. Pimm's restaurant became very popular and in 1865 the business was sold to Frederick Sawyer. Then, in 1880, Horatio David Davies, a wine merchant and owner of cafés in London acquired the business and rights to the Pimm's name. Horatio Davies became Sir Horatio, a Member of Parliament and, between 1897-1898, Lord Mayor of London. 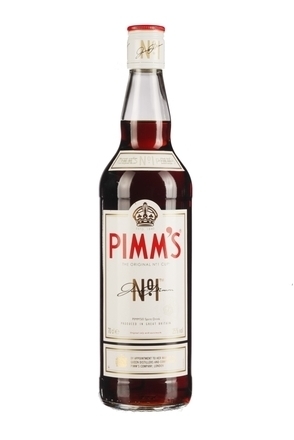 He formed Pimm's into a private company in 1906 and is the man who, thanks to his society connections, made the drink fashionable. After his death, the Pimm's company and brand was controlled by family trusts for 57 years. The precise date that the drink Pimm's was first sold outside restaurants and bars controlled by the Pimm's company is unknown. However, it is certain that the original product, Pimm's No.1, "The Original Gin Sling," was based on gin and flavoured with numerous botanicals. 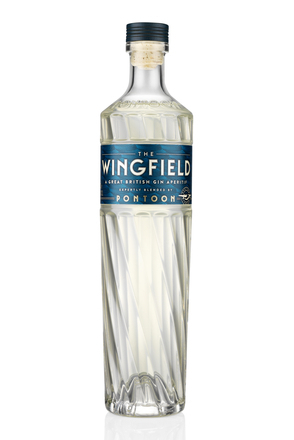 It is one of the most famous gin cocktails of all time, albeit a premix. 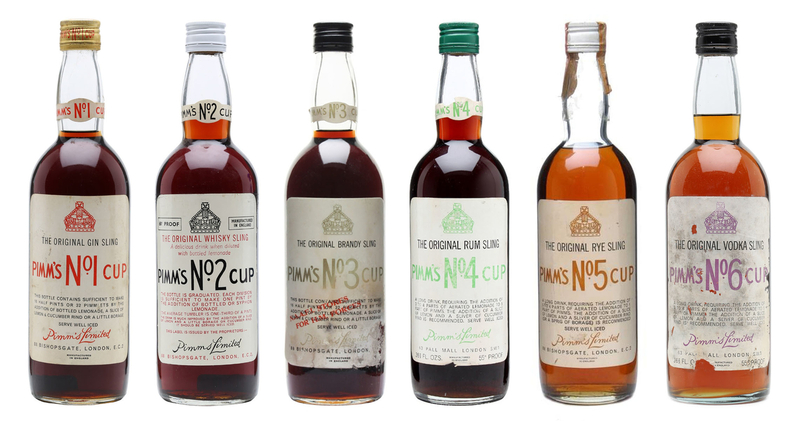 A second Pimm's product based on Scotch (Pimm's No.2 Cup) was launched and a third (Pimm's No.3 Cup) was based on brandy. 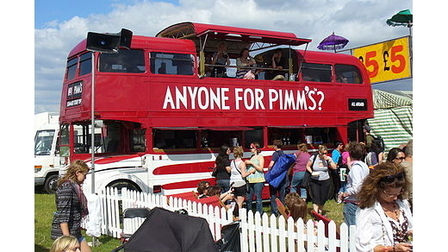 Pimm's became popular in Britain in the 1920s and took off internationally after the Second World War. Other versions were then introduced: Pimm's No.4 based on rum, Pimm's No.5 on rye, Pimm's No.6 on vodka and Pimm's No.7 on tequila. In 1969, the brand was taken over by the company now known as Diageo and the original, gin-based, Pimm's was catapulted into the international league. The company focused on marketing No. 1, and the remaining versions were soon dropped - although No. 6, which is based on vodka, was later reprieved. 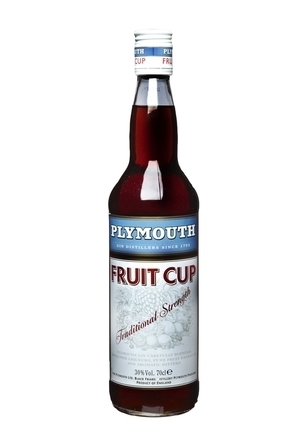 In 2004, Pimm's Winter Cup was launched with other variations following since. Like the original No. 3, it is based on brandy with such suitably wintry additions as orange zest, cinnamon and caramel. Its flavour is altogether more robust and spicy than Pimm's No.1.